Carlisle Youth Zone provides a safe meeting place for young people where they can take part in a wide range of positive activities. Based on Victoria Place, it is open 6 nights a week and provides a Holiday Club during school holidays. 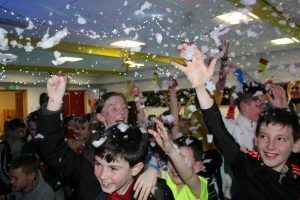 In 2015, the Youth Zone was seriously damaged during the floods of Storm Desmond. It lost 80% of its working space and everything on the ground floor of the building was destroyed. The ground floor was out of action for months as builders had to rip up the state-of-the-art floor, which had underfloor heating, as it was the only way to pump out more than five tonnes of flood water. Staff and volunteers were determined to keep it open, particularly for those youngsters whose homes had also been flooded. Thanks to support from the local community and more than £52,000 from the Cumbria Flood Recovery Fund, the building was back open after 10 days. Youth provision was offered from the upper floors and although it could not accommodate everyone, a local bus company transported youngsters to other venues around the city. In the 6 months before the floods, a youngster called Jack had fallen into a life of petty crime and anti-social behaviour and was referred to Carlisle Youth Zone by his Youth Offending Officer. After months of engagement with youth workers, Jack was regularly attending the gym, lost a significant amount of weight and started to enjoy the discipline of working out. 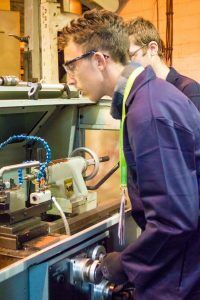 Jack’s confidence and his relationship with his youth worker continued to grow and he attended a work experience day at an engineering company. He was offered a fully paid traineeship regardless of his lack of education and his criminal record; an opportunity he probably would never have had if the Youth Zone had been forced to close. The building fully re-opened in July 2017. The Cumbria Flood Recovery Fund contributed to costs associated to increased staffing, lost revenue, uninsured costs and flood resilience measures.